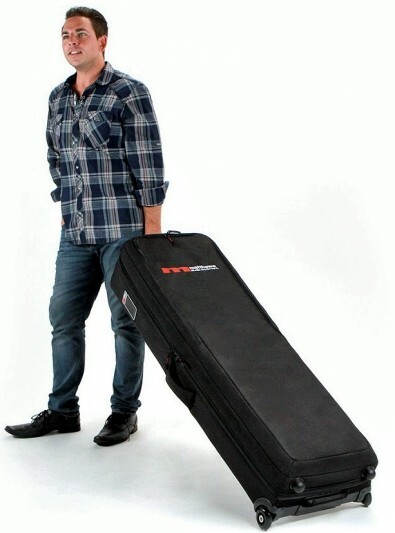 Matthews Studio Equipment of Burbank, California has introduced the the C-Stand Rolling Bag. Matthews said the new bags are made of water-resistant polyester and ballistic nylon and feature an easy to view padded red interior. The interior is made of durable high-density foam padding plus features Velcro tie-down straps and easy glide zippers. The Standing Rolling KitBag holds three removable base C-Stands, is moved with built-in high-density silicon skate wheels and twin side handles for two-person carrying. The bag weighs 24 pounds. The bags, priced at $357.00 each, will be shown at IBC.